Karachi: Lenovo, the world’s No.1 PC vendor, announced the all-new high performance Lenovo C2 Power smartphone now available in retail stores across Pakistan. Lenovo C2 Power comes with a 5-inch wide-view HD display and is powered by a quad-core 1.0 GHz processor that is operated by the Android 6.0 Marshmallow system. The built-in storage of the new smartphone is 16GB and is expandable to 32GB of storage support and a 3500mAh user interchangeable battery to deliver a smooth, responsive and fast multimedia experience. For the users, the C2 Power brings the powerful Waves MaxxAudio® technology in order to switch from their headphones and sink into the world of crystal-clear surround sound. In order to capture key moments with family and friends, Lenovo facilitated the smartphone with an 8MP autofocus rear camera with a Sony sensor and LED Flash, and a 5MP front camera to take optimal shots. The 155.6g lightweight smartphone has a rapid charging feature that allows consumers intensive use of the smartphone without running out of battery. 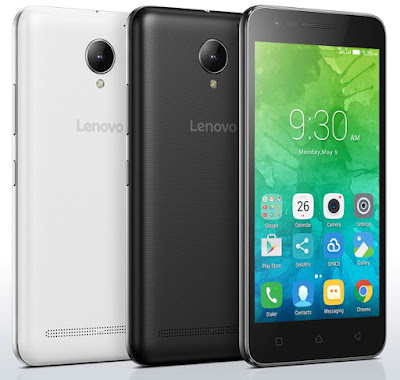 Lenovo C2 Power is available for a retail price starting from PKR 16,600.